Dodge and burn is not something I use a lot, but often enough to make it worthwhile for me to automate the setting up of it. I use the same technique as shown in the video peterj linked to (video is below) in his thread on dodging and burning. Nowadays, my memory can be a bit (well, a lot actually) like a sieve at times and I need to google how to do things I rarely do/use. Having scripts or actions to perform tasks makes life a lot easier. This video describes how to use a layer filled with 50% grey and overlay blend mode to dodge and burn non-destructively. Below the video is a script (I don't know how to run an action on multiple files in one go) I have created to create the layer on just the active document in the photo bin or on all of them. I sometimes work on a project with multiple documents. 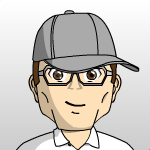 I have posted instructions on how to run scripts using Elements+. If the script is of any use to you, feel free to copy/paste and do whatever you like with it. 1. 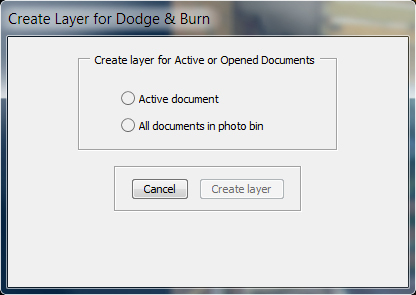 Allow the user to add the dodge & burn layer to just the current active document in the photo bin or to all of them. 2. Add the dodge & burn layer at the top of the layer stack of each document. 4. Enable the "Create layer" button when one of the radio buttons is selected.